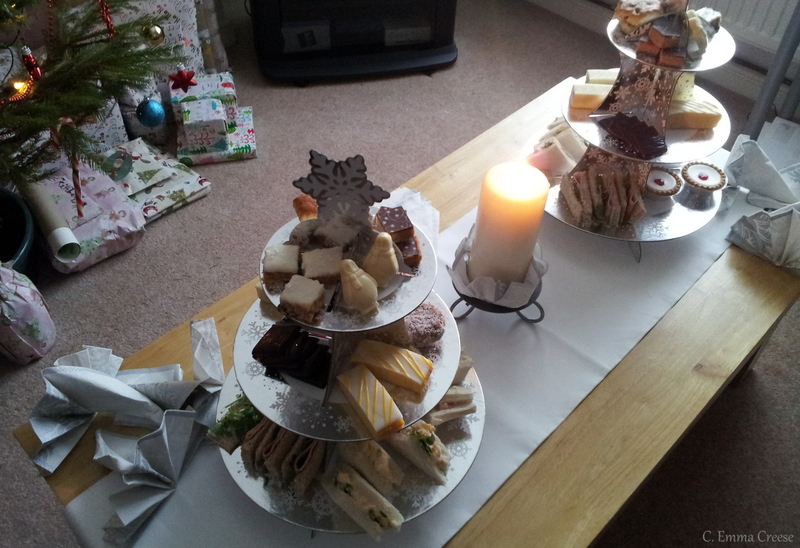 We decided with Christmas day being a little hectic (15-16 adults + an assortment of kids) that us ladies would have a wee afternoon tea to chat and catch up. We ended up having such a lovely low key day. Bar a few (actual) nightmares the night before (you know, like the ones you have before an important job interview, and you get to the end and realise you forgot to put trousers on?) it was a dream. We had looked into the option of being shamelessly spoilt and going out for afternoon tea eg. like this afternoon, but decided it would be easier, better to organise transport-wise and, honestly, cheaper to do it ourselves. Cranberry Juice with Mulled Spices – such a beautiful non-alcohol drink – literally get some of the mulling spice bags from your nearby supermarket, and heat the cranberry juice on the stove with the bags steeping. 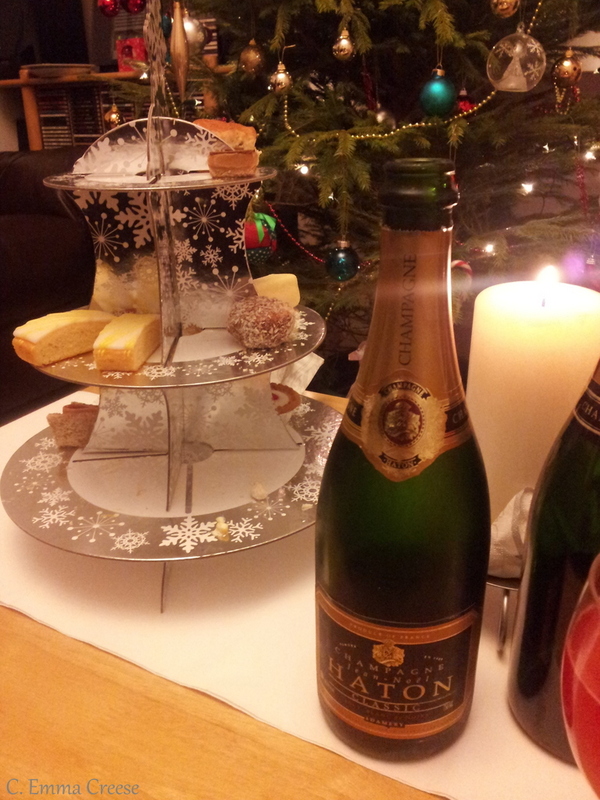 Absoloutely lush – it tastes like it should be alcoholic! Written up, it looks like it would be a lot of work, but to be honest we we allowed the supermarket baking companies to help take most of the strain. The drinks and sandwiches took the most work, but with three of us in the kitchen, drinks in hand, it really was a lot of fun. I wanted it to be low-key, and that’s what we got. The developing ‘Foodie’ in me wanted to handmake everything, but by the time we got to this morning, it wasn’t an option. It wasn’t over the top but just the right level of decadence, the conversation flowed, the food came out steadily and the drinks flowed. Can you tell we enjoyed it by the below ‘after’ pic? I hope you are spending some time with your loved ones, either over video chat, with an afternoon tea like the above, or at the Cinema, or just somehow. I think I need to host more of these next year. Maybe that should be one of my New Years resolutions? Right now, dishes to wash. Er, maybe I should reconsider the ‘at home’ business! !